When you have a cocktail craving you could order a gin and tonic, or you could order a cocktail that pairs gin with fresh herbs, other liquors, and fruit. Charlotte is home to some incredible libation artists who can readily handle these options or anything in between. From bars to hotels and breweries to restaurants, the bartenders and mixologists in Charlotte are getting better every year. While there are numerous worthy contenders for our first Bartender of the Year award, Colleen Hughes stands out from the pack. She manages not one, not two, not three, but four cocktail programs for four distinctively different restaurants, two of which opened this year. Hughes is the bartender at Crepe Cellar Kitchen & Pub, and customizes the cocktail programs there as well as at Growlers Pourhouse, Sea Level NC, and the soon-to-open Haberdish. Each cocktail menu must reflect the various concepts of each eatery. Hughes has worked in the food and beverage industry for 15 years, serving everything from coffee to beer and wine. But Hughes wouldn’t get into the craft cocktail scene until a chance order at an Atlanta bar four and a half years ago set her on a new career path. 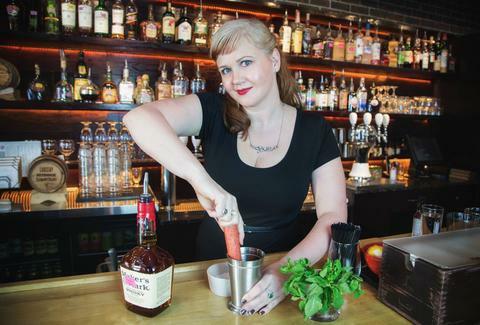 When she came back to Charlotte, Hughes and boyfriend James Murphy (who’s currently the bar manager at Abari Game Bar) started purchasing cocktail books and doing their best to figure out how to make craft cocktails. “I had never seen Old Tom Gin before, and so many of the liqueurs were so unfamiliar but we kept working on them. The big transition of how to create [and] balance cocktails with fresh juice... and slowly I started creating my own recipes,” she said. Hughes began working with Tonidandel six years ago when he first opened restaurant/bar Growlers Pourhouse, which focuses on craft beer and was one of the first establishments in Charlotte to offer cocktails on draft. While Tonidandel was the first person in Charlotte to be a certified cicerone, Hughes focused on quality craft cocktails. She began with beer cocktails and then created more inspired libations. This forward-thinking carried over when Tonidandel opened Crepe Cellar and tasked Hughes with creating the cocktail menu. At Crepe Cellar, one of the best date spots in Charlotte, Hughes was able to create more complicated cocktails. Hughes wrote her first cocktail list at Crepe Cellar around 2012-2013. While she describes those early drinks as simple, guests still request them today. Hughes believes that “the sky’s the limit” if Charlotte embraces craft cocktails the way it has embraced craft beer. Earlier this year, Sea Level NC opened in Uptown, marking the return of a seafood restaurant to Center City. Oysters are a big part of the menu, and Hughes designed cocktails focused around bringing out the flavors of the oysters. Oysters paired with whiskey? You got it. 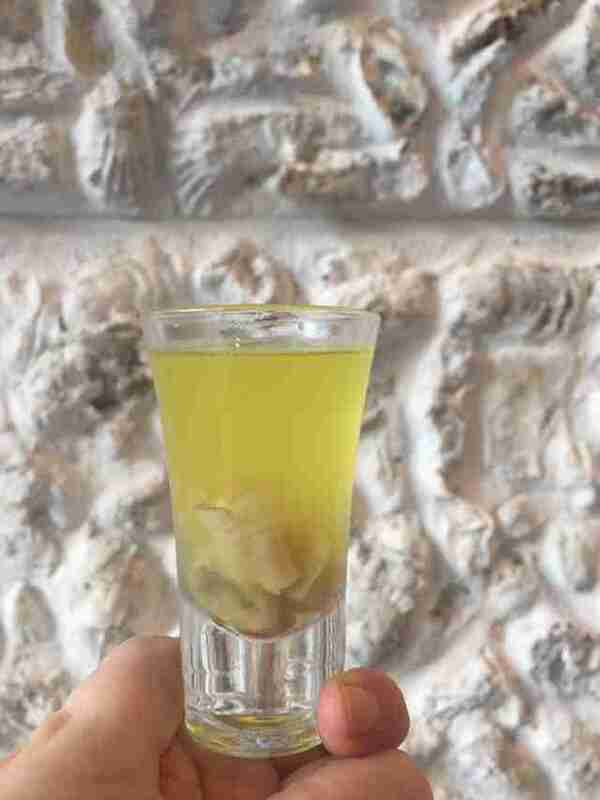 How about an oyster shooter? Hughes has that too. She even created an oyster shooter with Champagne and caviar. Hughes is never afraid to play with pairings. Hughes is currently customizing a cocktail menu that will compliment the Southern-inspired food at Haberdish -- a soon-to-open, pre-Prohibition-focused restaurant with a pharmacy/apothecary feel. 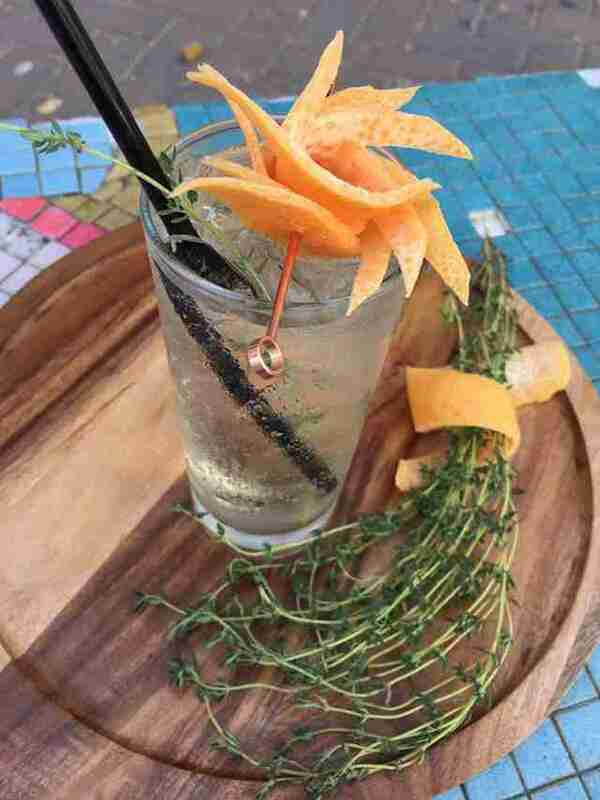 Be on the lookout for spherical ice cubes encasing citrus and edible flowers in their center; with these cubes, Hughes aims to make your drink pretty and interesting. Additionally, her fried chicken and bourbon pairings will change the way you see fried food. Colleen Hughes strives to push the limits of cocktail culture, while still keeping in mind that cocktails should be delicious. Her drinks are packed with flavor, care, and attention -- she has also made ice cubes interesting, for crying out loud. It is because of all of this and more that we raise a (well-iced) glass to the 2016 Charlotte Bartender of the Year. Erin Maddrey is skilled at opening Champagne bottles, but leaves creating cocktails to the experts. Follow her on Twitter and Instagram @ErinMaddrey.